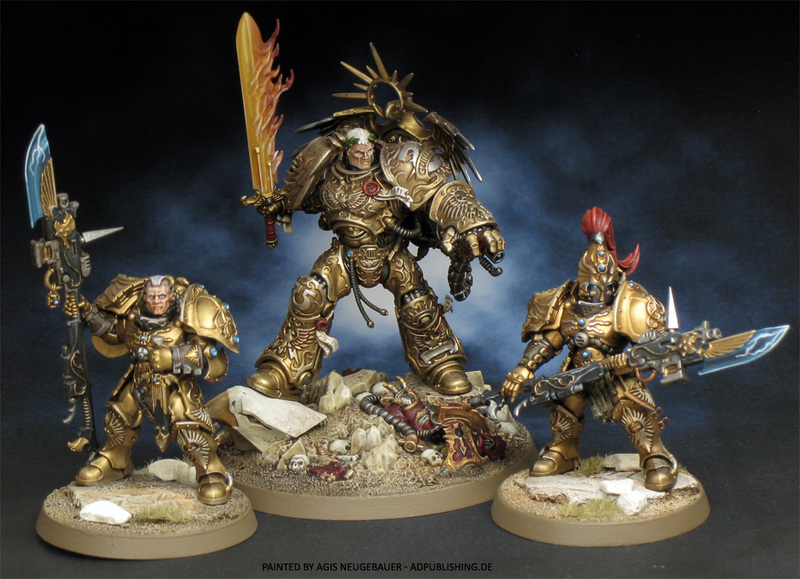 2 converted Custodes in Terminator Armour and one Custodes in Power Armour from the Prospero box! Anyway - the Adeptus Custodes are getting more popular because of the fantastic Adrian Smith Artwork for the Horus Heresy CCG. 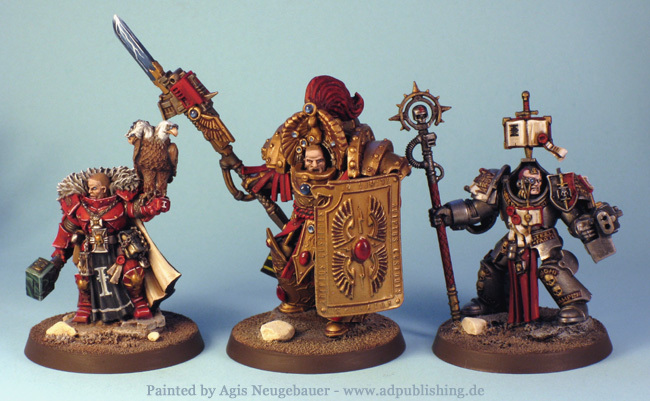 I was also captured by the nice images and was really tempted to converted some Custodes minis. After seeing Dave Taylor’s Custodes on the GW US site I lost a bit interest, because the man had already done everything I planned! But recently my interest was sparked again. After winning the Heavy Gear online painting contest, the DP9 staff proposed to put the mini on Cool Mini to promote Heavy Gear a bit. So for the first time I entered Cool Mini with an entry and was received warmly. I loved the idea of Cool Mini and checked the site regularly in the past to get some inspiration but I am really disappointed how some guys are fishing for good votes on the forums there. That was the main reason for me to NOT put any of my minis there. But now I was there and was looking on Cool Mini with more thoroughness. I noticed that a complete back market of converted minis existed there. 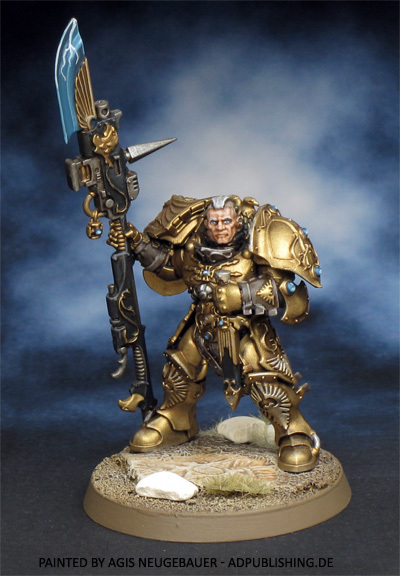 By sheer coincidence I saw a really nice converted Aquila Terminator of the Custodes. Having just sold my Armorcast Titans, I had some money to spare and bought the mini through ebay. So here we are! 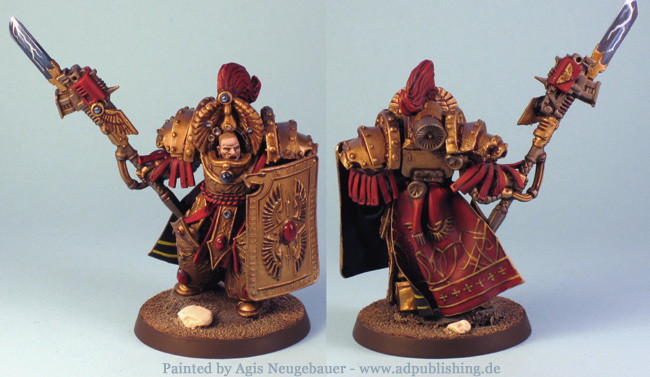 My first Adeptus Custodes Aquila Terminator! The mini is converted by Scibor from Poland. Search Cool Mini for his other stuff - really impressive. You can see how much he sculpted from scratch on the picture without the paint. This guy is good! The mini is painted mainly in conventional gold metallic. I am one of the last old fashioned painters that are NOT liking the NMM technique. 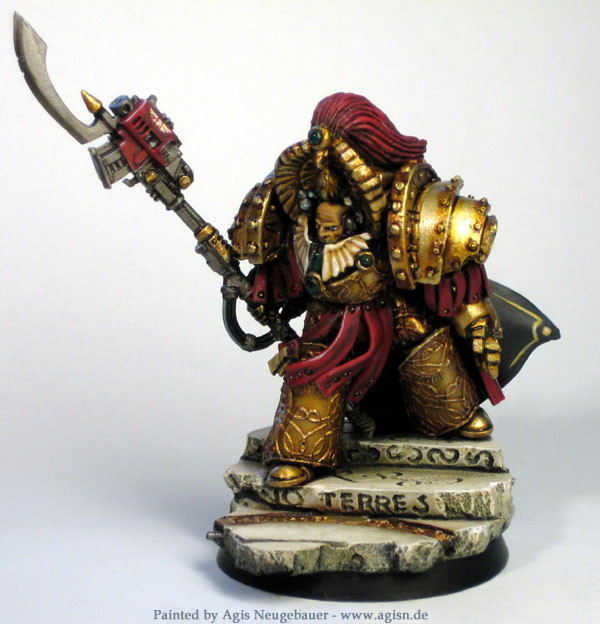 So the mini is just painted using gold, ink and dry brushing plus several highlights to get the burnished gold effect. The rest is normal painting plus some transfers for the back of the cloak. 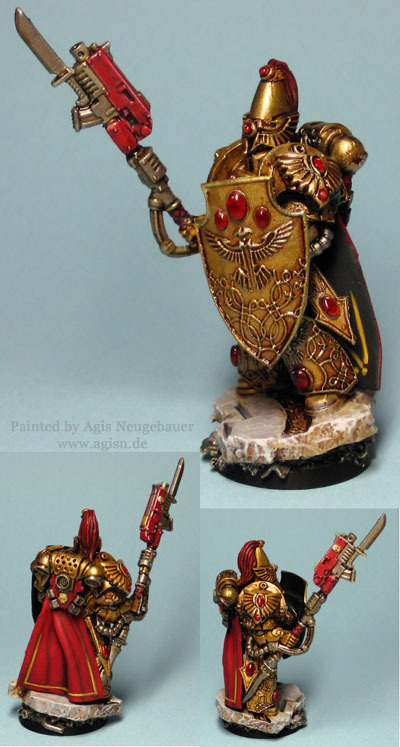 My second Custodes miniature. 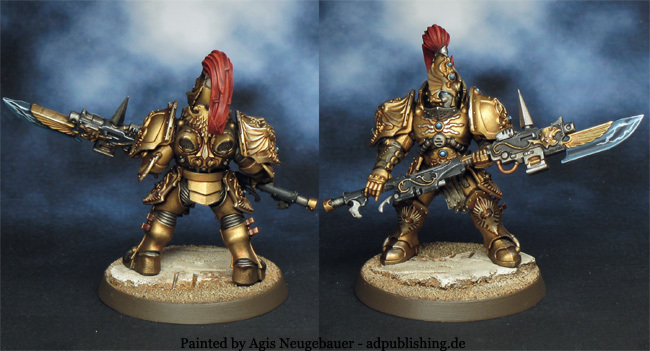 Again a Scibor conversion but this time a Power Armour Custodes. 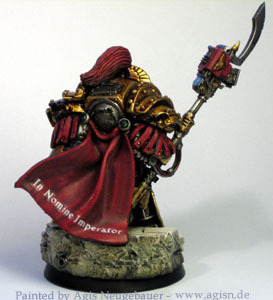 Third Custodes, this time a Terminator model again. 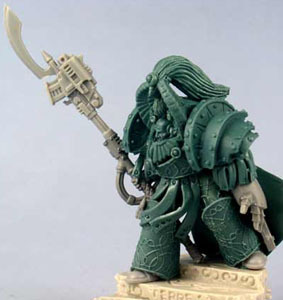 I am planning to use the model as a Grey Knight Draigo stand-in, he has the weapons and the big shield. The model is again an older Scibor work/ conversion, very big and suitable impressive as the comparison shot clearly proves. Though less common within the ranks of the Legio Custodes than their peers, those warriors who comprise the Sagittarum Guard Sodalities nevertheless fulfil a number of vital roles within the Legio’s order of battle. 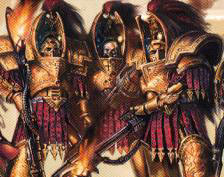 Their art of war, in contrast to the rest of the Custodian Guard, is focussed on the slaying of the foe primarily at distance and upon the devastating application of firepower on the battlefield. 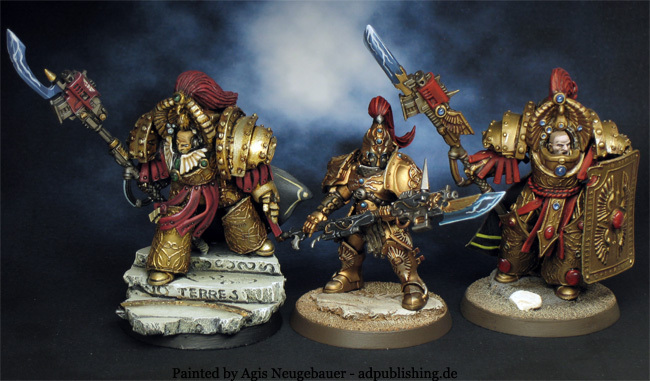 Custodes in Power Armour - right from the Prospero box! 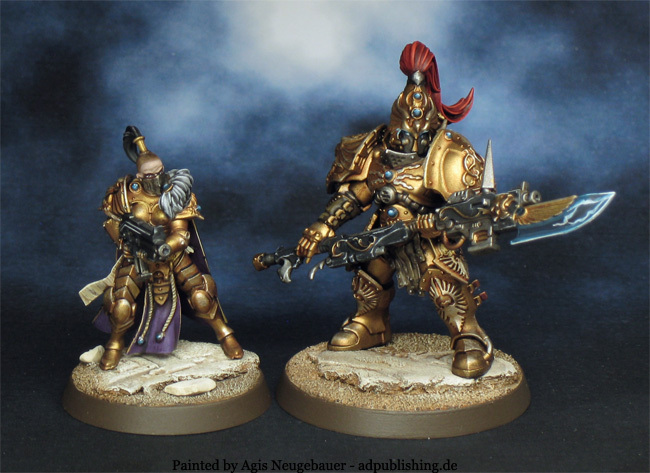 SiS and Custodes in Power Armour - right from the Prospero box!